If you are lucky then you can easily tackle this issue by just reinstalling the culprit program to fix this problem. Look Here: [Complete Tutorial] How to Easily Fix any DLL Errors in Windows 10, 8.1 and Windows 8? 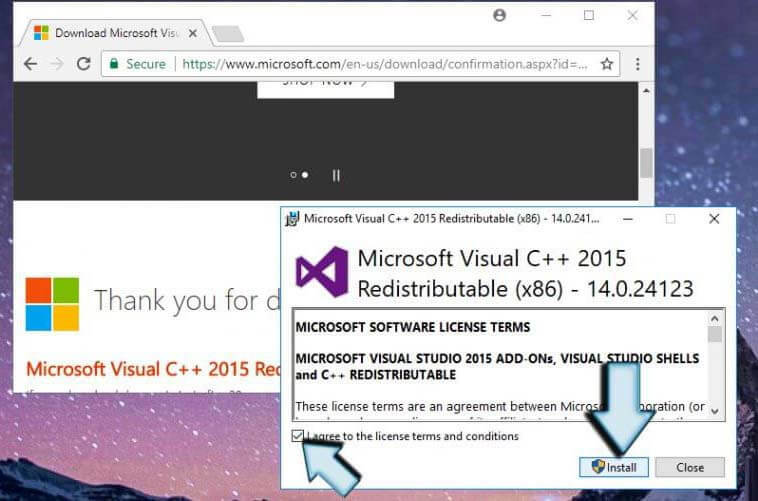 Step 1: Open the Microsoft Visual C++ Redistributable official Microsoft website. And then click on the download button. 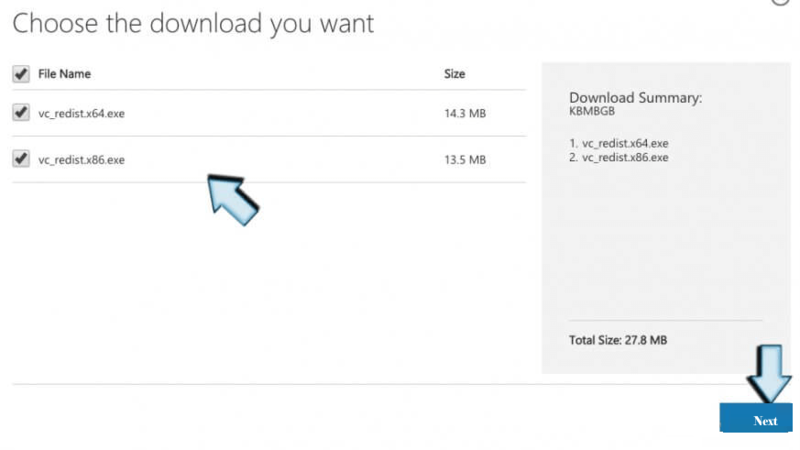 Step 2: You will be redirected to the page which will ask you to select the download you want. Here you will see two files: x64.exeand vc_redist.x86.exe. If your system is running a 32-bit operating system then choose the x86 version of the file. If your system is running on the 64-bit operating system then go with the x64 version of the file. Step 3: Now, open the file and you will be asked to read Microsoft Software License Terms and agree to them in order to install the missing software piece. Tick mark on the “I agree to the license terms and conditions” and choose Install. Step 4: At last, check for the error. It is hoped that the problem you are experiencing should be fixed. Step 1: Open the Control Panel with admin privilege. To do this, right-click on the start menu and choose Control Panel. Step 2: Open Programs & Features or Add/Remove Programs according to the OS type that you use. Step 4: You will see the uninstaller, Instead of clicking “Uninstall” go with the Repair option. Step 5: At last, restart your system. You May Also Like: [Top 3 Solutions] How to Get Rid of d3d9.dll is Missing Error? Simple, download and install the PC Repair Tool on your system and run it. This will scan your system and their files deeply and replace the damaged DLL file without automatically. After going through the above manual methods, you can easily fix “The program can’t start because vcruntime140.dll is Missing from your Computer” error. All these fixes can easily help you resolve this error. 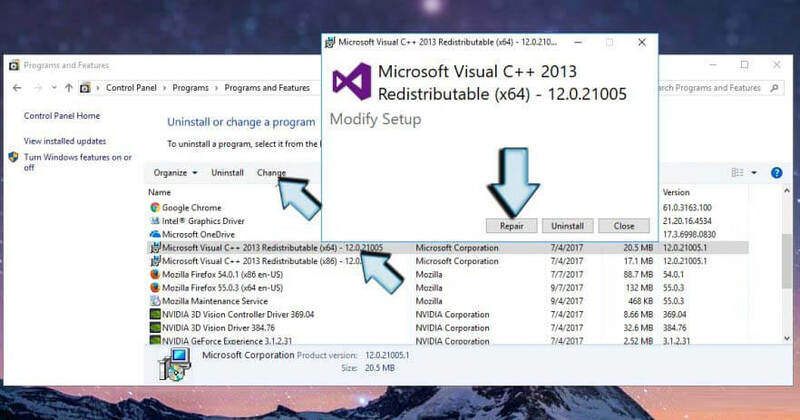 However, if the manual methods do not work to resolve “The program can’t start because vcruntime140.dll is Missing from your Computer” error then you can try PC Repair Tool which is mentioned in automatic method number 7. Hope your error will be fixed soon after applying the methods mentioned here.